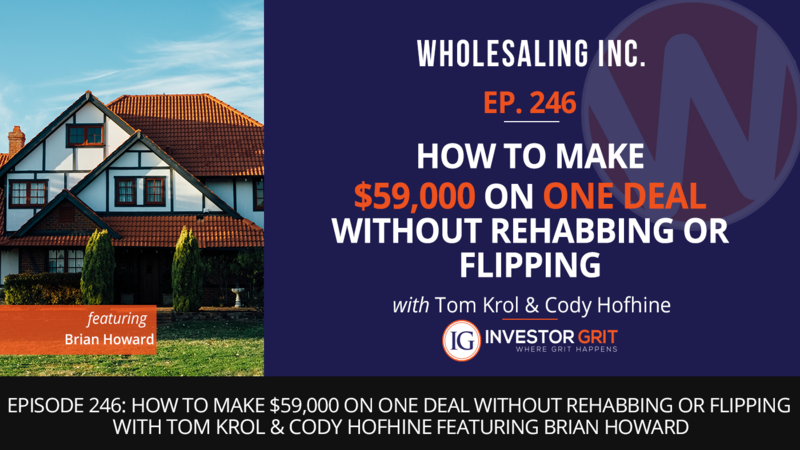 While there’s no shortage of people who are earning huge profits from multiple wholesaling deals, there are also those who make a fortune from just a single deal. And in today’s episode, you’ll get to know a phenomenal wholesaler who was able to pull off the latter. Brian Howard is an exceptional wholesaler from South Carolina. While he’s no wholesaling expert yet, he does not shy away from taking massive imperfect actions and asking for help when he needs it. Undoubtedly, his persistence and fearlessness paid off massively as he earned $59,000 from a single deal! In this episode, you’ll not only discover how he was able to pull off a feat as impressive, you’ll also discover innovative ways to find prospects and close deals. So have a pen and paper handy, you’ll have plenty of game-changing insights to take note of!